The Grammar Guide to Spanish Colors: Speak the Rainbow! Did you know that color is just an illusion? No, I have not gone crazy. The truth is that color does not really exist! Color is just the way our brains try to make sense of light. Every person reading this imagines a different shade of yellow, because every person’s eyes and brains work together to see the light in a slightly different way. But even if we all see color differently, it remains an incredibly important aspect of human life. 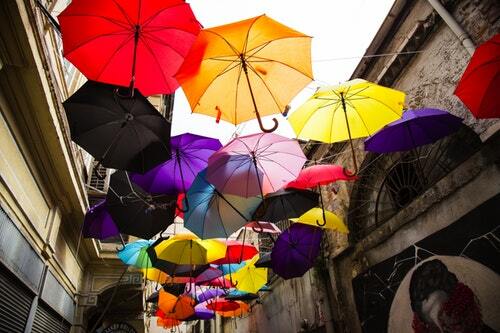 Colors help us make sense of the world around us. They allow us to communicate with others, describe the world around us and can even affect our memory. That is why it is important to know colors in Spanish if you want to be able to hold a conversation. But knowing the words for the colors is not enough—after you are done with this post, you will also know how to use them in sentences. Want to hear some colors in action before you move on? Take a moment to browse a collection of color flashcards on FluentU. You can see the words in use in various situations and even further your vocabulary as you explore thanks to the interactive videos within the flashcards and the annotated subtitles. Want to add even more color to your vocabulary? 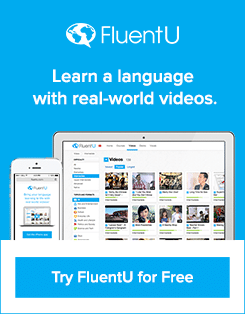 Check out FluentU’s other video offerings. If we take into account the countless shades a color can have, we would be naming colors until the end of the world. There are many colors that are just very specific shades of other colors. Take, for example, the color blue. We have: blue (azul), navy blue (azul marino), sky blue (azul cielo), azure (celeste), cobalt blue (azul cobalto), cyan (cian or azul verdoso), ultramarine (azul de ultramar), etc. The same happens with the color green. Some of its shades are forest green (verde bosque), apple green (verde manzana), mint (verde menta), pistachio (verde pistacho), etc. And the list goes on and on for every simple basic, true color. It is not our task to learn hundreds of color names and shades, so do not worry about this. OK, so you know already like a zillion different colors in Spanish. You also know they have many different shades. But apart from knowing the names of the colors and having read a couple of examples, do you really know anything about them? In the following sections you will have your first contact with the grammar of colors. Do not panic! I am not going to bore you to death with an endless list of grammar rules. What follows is just a useful guide so you can use Spanish colors in sentences and feel like a pro. Now that you know the name of so many colors in Spanish, it is time to have a little fun with them. Learning new vocabulary is fun, but vocabulary is not very useful by itself. The following sections will guide you through the grammar of Spanish colors and will teach you how to use them in a sentence like a native speaker. It may come as a surprise to you that colors can have a gender, but that is one of the magical things about the Spanish language. As you will see in the next two sections, the gender of colors in Spanish is not something you can just stick to them and call it a day. A color’s gender varies depending on whether it is functioning as adjective or as noun and whether it is being modified by another adjective or noun, so I like to define colors as gender fluid. When a color is functioning as an adjective, it will always agree with the noun it is modifying. When a color is functioning as a noun, it will always be a masculine noun. In other words, colors have genders and their gender depends on what they are doing in the sentence. Do not get too stressed by this, though, because most of the time, colors just act like they are supposed to: as descriptive adjectives. Colors help us describe objects, animals, people, etc. They are descriptive in nature. It is no wonder, then, that they are mainly used as adjectives in Spanish. Even if you are beginning your adventure with the Spanish language, you probably already know that nouns and adjectives must agree in gender and number. All of them do that. So how and when do we do that if the adjective is a color? First of all, let’s go back to the color list I gave you at the beginning of the post. If you take a closer look, you will see that there are four possible endings for a color in their dictionary form: -o, -a, -e or a consonant. This means we can separate them into two big groups of colors, one for colors ending in -o and one for the rest of them. The group of colors ending in -o includes all the colors that behave like normal adjectives. They follow the noun they modify (all descriptive colors do this). They have four forms: masculine singular, feminine singular, masculine plural and feminine plural. The form you use depends on the gender and number of the noun being modified. See? It is really easy! Once you memorize the color, the only thing you have to remember is to change its ending so that it agrees with the noun. That is all! Here are a few more examples so you can see this in action. Pay attention to the colors’ endings! Those other colors that do not end in -o are contained in this group. You are going to love these colors: They only have two forms, one for the singular and one for the plural. They are not gender specific, so they do not have special feminine forms. Just learn the basic form, make it plural and you are ready to go! Apart from that, they are just like any other color functioning as an adjective. They modify a noun and follow it. Easy! Do not believe me that these are easy? See for yourselves! In the examples above, the word rosa is modifying four different nouns, but only changes if the noun is plural. See how simple it is? There is one last thing you should know about colors functioning as adjectives. This means that no matter what gender or number the main noun is, the color and the adjective/noun will remain in the masculine singular form! See? 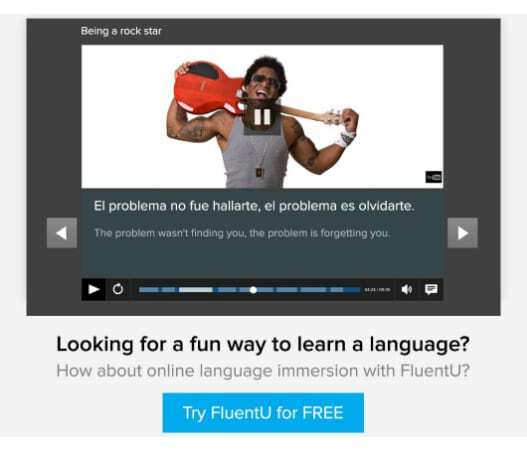 The Spanish language loves you and wants to make your life easier! This means you have less things to remember! Colors can also act as nouns. Awesome, isn’t it? When a color functions as a noun, it will always be masculine, no matter what! Like any other Spanish noun, colors acting as nouns have a plural form. There are many expressions in Spanish that use color, but for this section, let’s focus instead on how to actually use these colors in typical sentences! I have tried to keep it simple so that beginner students can start using the sentences right away in their conversations in Spanish. So let’s talk about colors, shall we? And now give yourself a pat on the back and be proud for being a super master of Spanish colors! This may feel like an awful amount of information to you, but you do not need to learn it all at once. Take your time and study one section before starting the next one. You will be so happy when you realize you not only know how to name the colors in Spanish, but also can have a conversation about colors and use them properly!